BNP has come down heavily on Chief Election Commissioner KM Nurul Huda for apparently not doing anything about the attacks on the party's election campaigns. 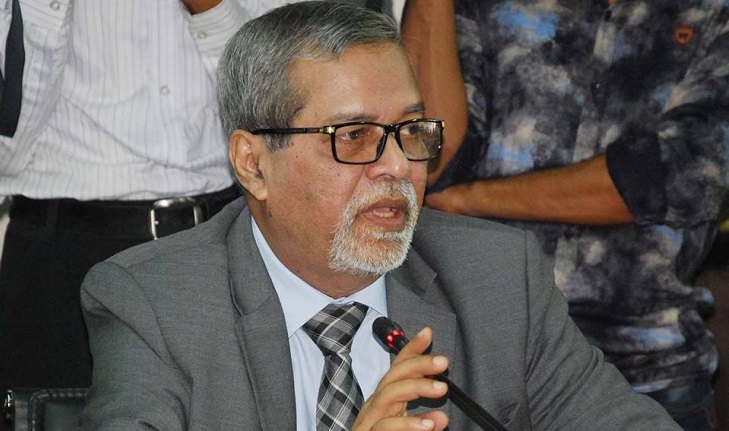 "We think he (CEC) is helpless and really embarrassed because he cannot do anything," BNP Vice-Chairman Selima Rahman told reporters on Wednesday. BNP has long been critical of the Election Commission, going to the extentof calling it "subservient to the government." But the EC has been maintaining that it is neutral and will do everything to ensure a free, fair and inclusive general election. "The parliamentary polls will be acceptable if the CEC takes proper action,"Selima said, after leading a five-member delegation to a meeting with Huda at Nirbachan Bhaban on Wednesday. "We've come to the CEC with our complaints because he said he would ensure a level-playing field," she said. BNP Secretary General Mirza Fakhrul Islam Alamgir's motorcade was attacked in Thakurgaon on Tuesday, a day after the official start of political campaign ahead of the December 30 election. The party has blamed the ruling Awami League for the incident. SelinaRahman alleged the campaigns of other BNP leaders had also been attacked by "Awami League and Jubo League activists, with the help of police." "They (AL) want to stop us from campaigning because they want to turn it into a one-sided election," she claimed, adding that the ruling party was "harassing and intimidating"BNP activists. Selina complained that BNP leaders and activists were being arrested even after the announcement of election schedule. CEC Huda said police had informed him that they were arresting only those who had warrants against them.